Flexible metal braided hoses and fittings can be used widely in systems like water, steam, hot oil and gas with their resistance to pressure and flexible structure. Conducting liquids, compensating the problems originated from installation, absorbing vibrations and expansions are some of the metal hoses’ usage purposes. 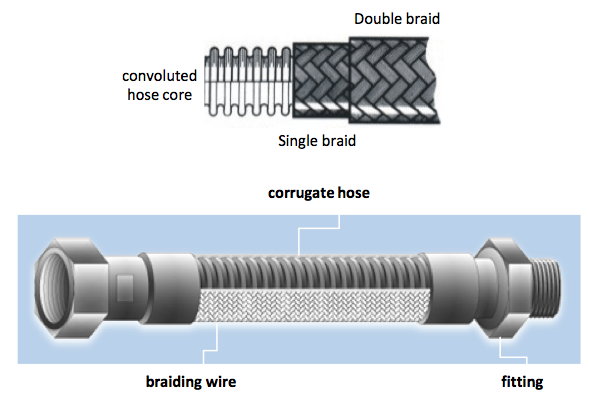 There are parallel, open and closed joint options and they can be reinforced against pressure and environmental conditions with double braiding.